The Liberal Government recently decided to scrap the much-maligned lottery system to decide whether or not Canadians could sponsor parents and grandparents to immigrate to Canada. This is not the first time that government policy on family reunification has relied on a lottery. The practice has deep roots that go back more than two hundred years to Britain’s military and colonial policy. In the eighteenth century, the wives of British soldiers ordered abroad (including to Canadian postings) would have to draw straws to determine which of them would be able to remain with the regiment. Those who drew the short straws pleaded desperately and tearfully for a reversal of the decision but were told that it was out of officers’ power; the lottery had spoken. 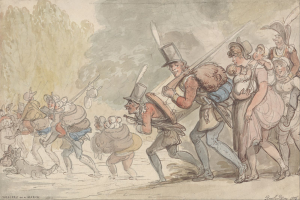 Image 1: Thomas Rowlandson, Soldiers on a March, 1805. One might think that the government denying a woman the chance to accompany her husband was humane, since she could then avoid the risks he faced on campaign. However, army couples desperately wanted to win this lottery. Wives who won were granted a position “on the strength” of the army. (Image 1 is a caricature of the burden that wives imposed on campaigning troops.) This entitled them to transportation, half-rations, and employment as a laundress for the officers. Those who lost saw it as close to a death sentence, since there was little support for single mothers in eighteenth-century Britain. The most poignant example is of Mary Stewart, who pleaded in vain to be taken with the 85th Light Infantry to the Peninsular War in 1813. She died in childbirth shortly after. Her husband never spoke again and died as soon as he could sacrifice himself to enemy fire. 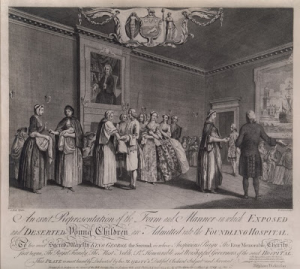 Image 2: Samuel Wale, Admission of Children to the Hospital by Ballot, 1749. There are other examples of lotteries deciding the fates of desperate families in the eighteenth century. Poor or unwed mothers had to draw marbles to see if their children would be cared for by the London foundling hospital. The practice was adopted, Foundling Hospital officials stated in 1753, “to prevent any partiality” in a situation where demand greatly exceeded supply. The scenes where mothers and nurses drew from a bag of marbles, desperately hoping the white one, were heavily attended and even illustrated (see Image 2). Families who lost the draw were objects of great sympathy. Though separated by more than two hundred years, the Canadian Immigration lottery program serves a similar purpose to these older British practices. Lotteries are a way for those in power to deflect responsibility from themselves for unpopular outcomes. It is particularly expedient when there are far fewer spaces than there are people wishing to fill them, as is the case in the modern immigration program, the colonial British army, and the London Foundling Hospital. Its depersonalized nature makes lottery a powerful tool when dealing with especially emotional issues like family bonds or child welfare. They all had very poor odds of winning. When the Liberals announced the program in 2016, they set a cap of 10,000 sponsors. Though an increase from the previous cap of 5,000, it was nowhere near meeting the demand, which is estimated at close to 100,000 families. The statistics for the eighteenth century are more difficult to determine, but it is clear that there were definitely more wives wishing to travel with the regiment than there were spots. Conservative estimates suggest that as many as 7,500 soldiers’ wives were denied the chance to remain with their husbands in the Napoleonic Wars. Foundling hospital records from the 1750s indicate that only one third of supplicants received assistance. Leaving things to random fate helps the government keep families’ expectations low. Hope can be quickly replaced with resignation. A lottery creates an illusion of fairness and distances authorities from appearing to control the process. They are controlling it, however. In addition to caps, both the current Canadian Government and the colonial British government maintained the right to reject lottery winners. Canadian authorities required winners to complete full applications for sponsorship after their win, and those who drew the white ball in the Foundling Hospital Lottery were conducted to an “examining room” where the child might be rejected and sent away. British officers could turn wives off the strength at any point in a campaign. The horrors faced by wives in such circumstances were often blamed on the women themselves for wanting to travel with the regiment in the first place. No one acknowledged the lack of a separation allowance for army wives as motivating that desire. Then and now, lotteries provide a way for governments to avoid family reunification strategies that would vastly exceed their funding capabilities. The lottery system was more difficult for individuals to fight two hundred years ago. Today’s opponents waged their campaign by pressuring politicians directly and in the press. In the past, protest was individualized and riskier. Denied any political voice in a system with limited male suffrage, and silenced still further by the army’s rigid power structure, regimental wives never questioned the lottery process. Instead, successes were measured with small personal victories rather than policy changes. For example, after losing the lottery in 1799, one woman gained a spot with the 85th Regiment by jumping into her husband’s arms as he stood on the departing ship. Impressed by the risk she had taken, the officer allowed her to remain. Such actions did not change the situation for the other wives denied a spot. Even today, scrapping the lottery system represents a Pyrrhic victory. Lotteries allow government officials to blame the ‘luck of the draw’, rather than a situation where there are so few spaces for so many applicants. This lack of spaces remains a difficult issue, regardless of the fact that the lottery system has been replaced with its predecessor, a first-come-first-served process. The latter already suffered from accusations that corrupt practices allowed some applicants to jump the queue. The lottery system was a way to cast a veil of impartiality over the process. Instead, it has simply highlighted the lack of easy ways to address the immigration problem. Jennine Hurl-Eamon is a Professor of History at Trent University Durham GTA and is author of several books, including Marriage and the British Army in the Long Eighteenth Century, published with Oxford University Press in 2014.